I received product compensation for this post. However, all opinions are 100 percent mine. Costumes and wigs jots aren't for Halloween any more. 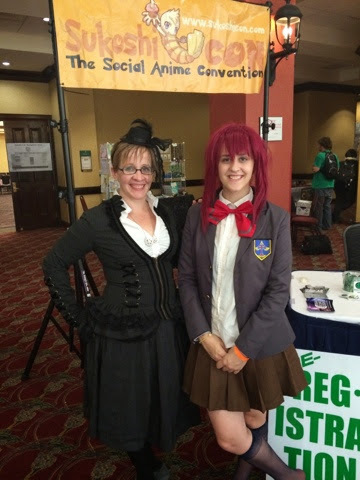 Since entering high school, Leelee has made some great friends who introduced her to cosplay. It is a pretty great creative outlet. And she's convinced me to join in on the fun. Don't we make quite the pair? Look at her wig though... It's pretty rough. In our short time doing this we've learned about good costume wigs and bad costume wigs. 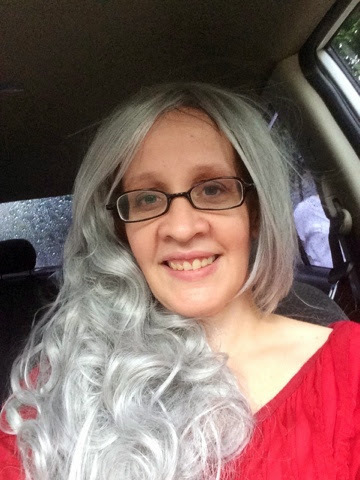 Recently, we ordered a new wig from Abhair and it's definitely in the good wig category. Our biggest challenge with a full wig is getting Leelee's curls under the wig cap. No photos but we ended up braiding it tight around the top and around the ears and using a lot of bobby pins. She has a lot of thick hair. I wanted a chance to play with the wig first. I've never had long thick hair before so this was a good way to see how I'd look. This is the wig unstyled, btw. It's heat resistant so it is possible to add more curl, which is pretty cool. All the wigs I've seen before melt with heat. Leelee is a bit of a rebel (she is my kid!) 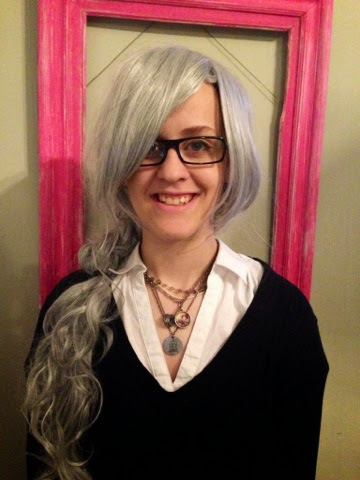 and realized wigs were not expressly forbidden in the school dress code. 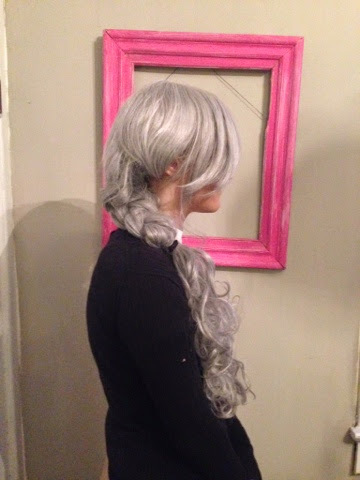 So, she styled the wig in a nice braid and wore it to school. Her other rebellion? Sparkly sneakers! 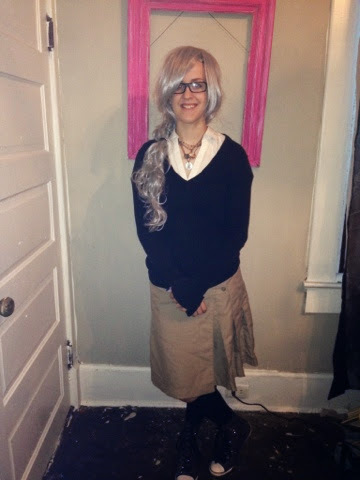 She looked quite nice to go to school, even if her hair was silver. Too bad not everyone saw it that way...and, next year wigs might be on the no-no list. Her future hair plans include pipe cleaners for the Pippy Longstocking effect. But, she has the sense to wait to test those waters again! Last year she literally tied her hair in to the shape of a bow. Want to try out the wigs and extensions at abhair.com for yourself? Use code MickiA15 for 15 percent off site wide.